This is a sponsored post on behalf of Warner Bros. Pictures. 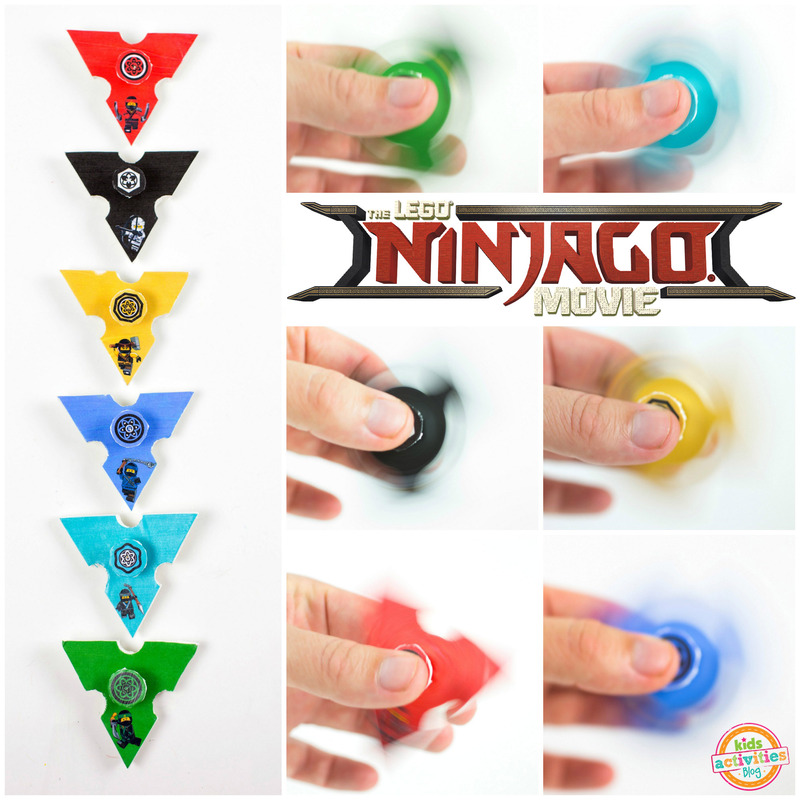 We are celebrating The LEGO NINJAGO Movie hitting theaters this month with fun ninja star fidget spinners, inspired by the movie! 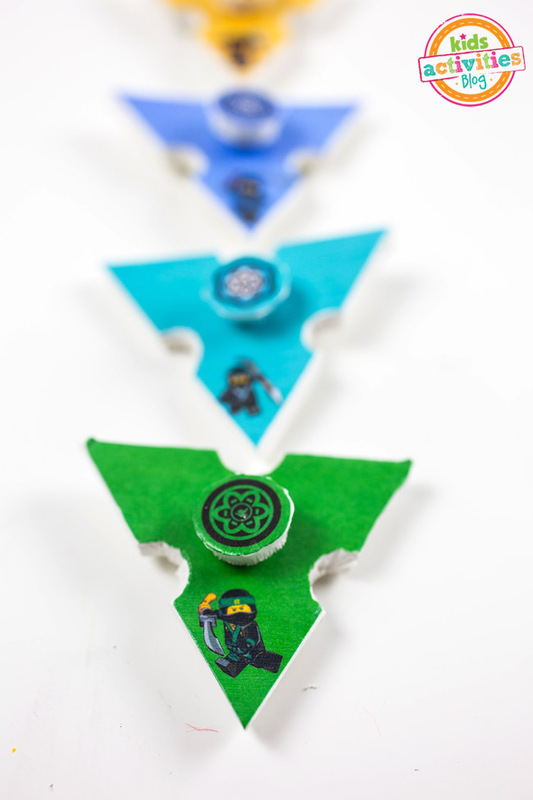 Fidget spinners are all the rage, and your LEGO-loving kids can create versions of their own with our printable template, inspired by The LEGO NINJAGO Movie in theaters September 22. They’re the perfect way to pass the time while your kids are waiting to see these fun characters on the big screen! In this NINJAGO adventure, the battle for NINJAGO City calls to action young Master Builder Lloyd, aka the Green Ninja, along with his friends, who are all secret ninja warriors. Led by Master Wu, as wise-cracking as he is wise, they must defeat evil warlord Garmadon, The Worst Guy Ever, who also happens to be Lloyd’s dad. Pitting mech against mech and father against son, the epic showdown will test this fierce but undisciplined team of modern-day ninjas who must learn to check their egos and pull together to unleash their inner power of Spinjitzu. My son has grown up watching LEGO NINJAGO, and we are so excited to see this new adventure! 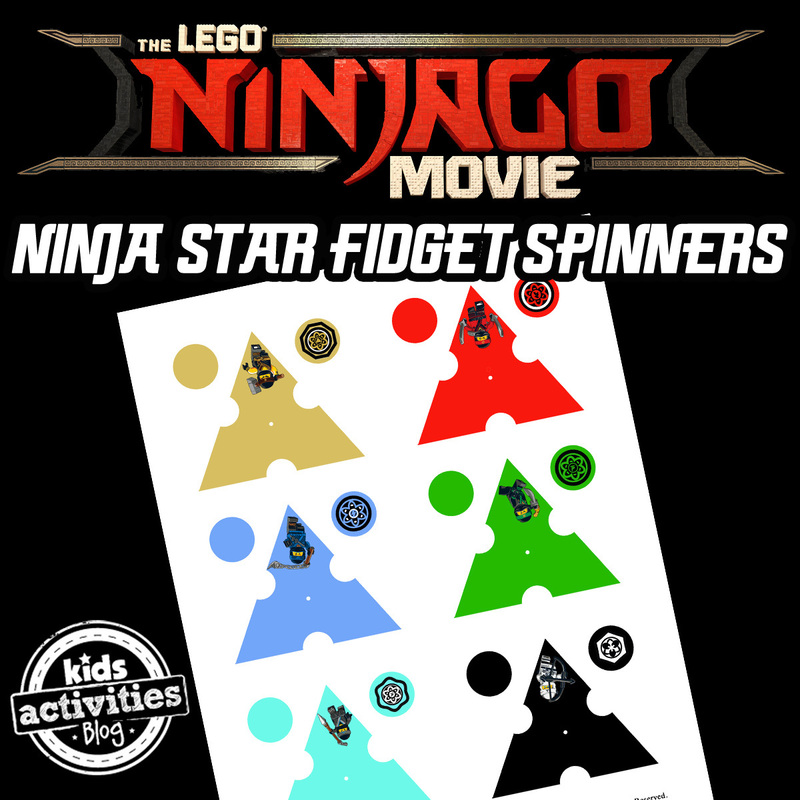 First, you’ll need to download our LEGO NINJAGO Movie Fidget Spinner Template. Print it out and cut out the pieces of the fidget spinners. Paint the backs of the pieces with Mod Podge and place them on the craft foam. 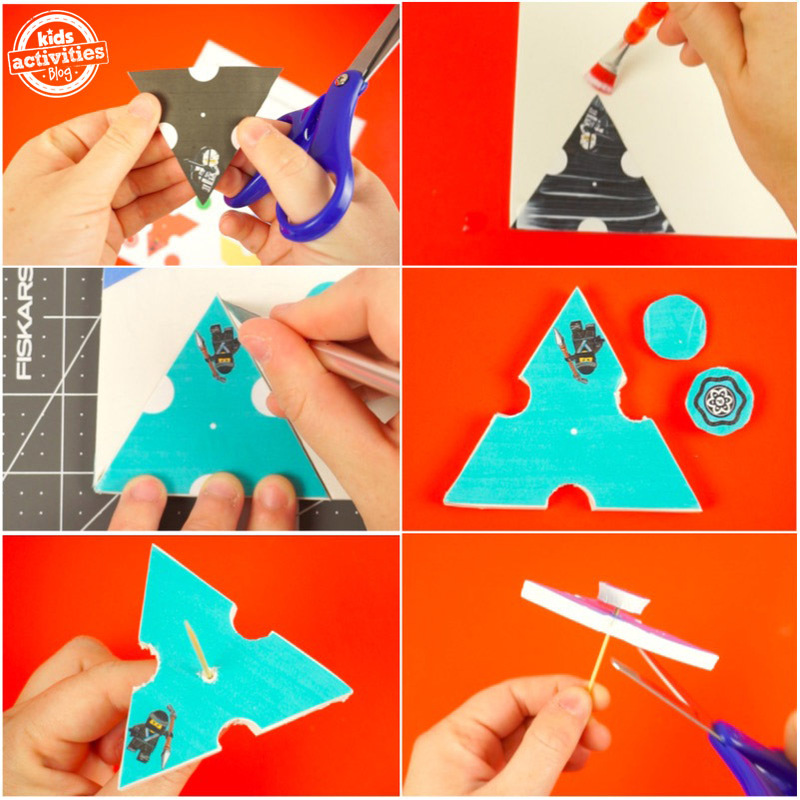 Cover the front of the fidget spinners with Mod Podge, too. This will seal them and make them a lot stronger. Allow to dry fully. Once the pieces are dry, use the exacto knife to cut the spinners from the craft foam. 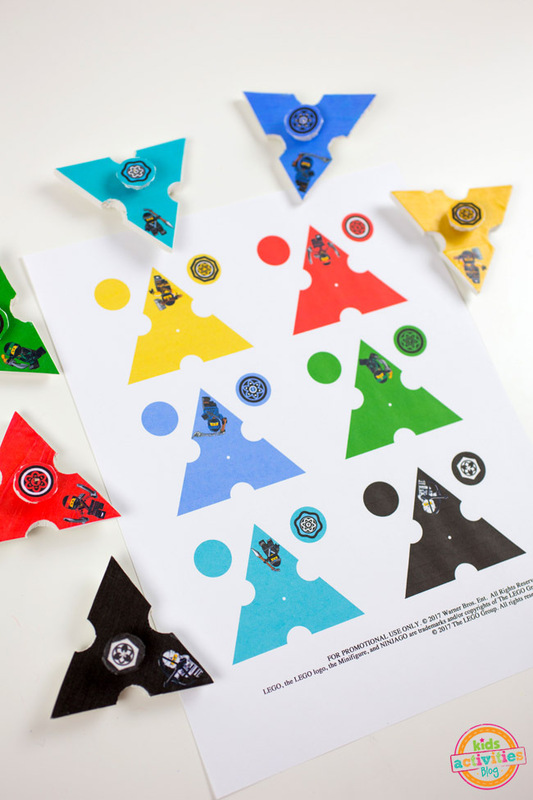 Use the needle to poke a hole through each fidget spinner in the very center, where indicated by the small circle on the template. Widen the hole using your exacto knife. Place the toothpick through the hole — it should move loosely. If it doesn’t, widen the hole some more. 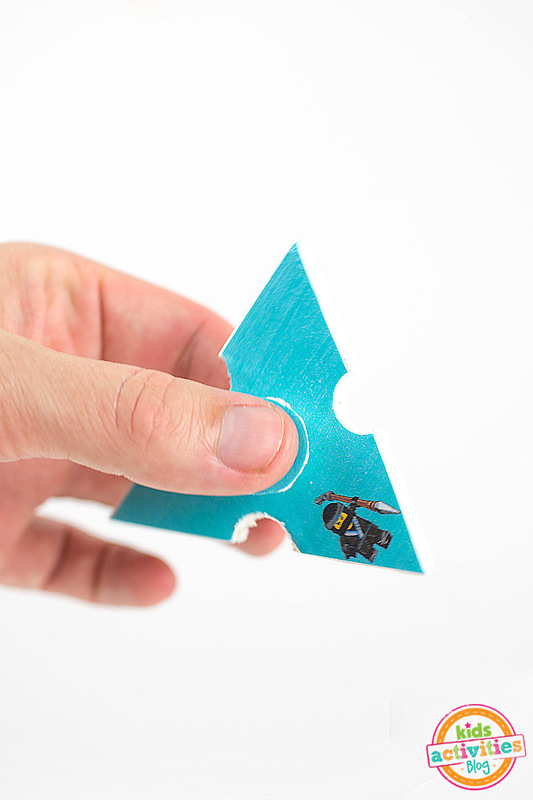 Press the toothpick into the bottom of the ninja symbol circle. Cut off just enough of the toothpick so that you can attach the bottom circle and the spinner will move freely. Glue the two circles into place and allow to fully dry. 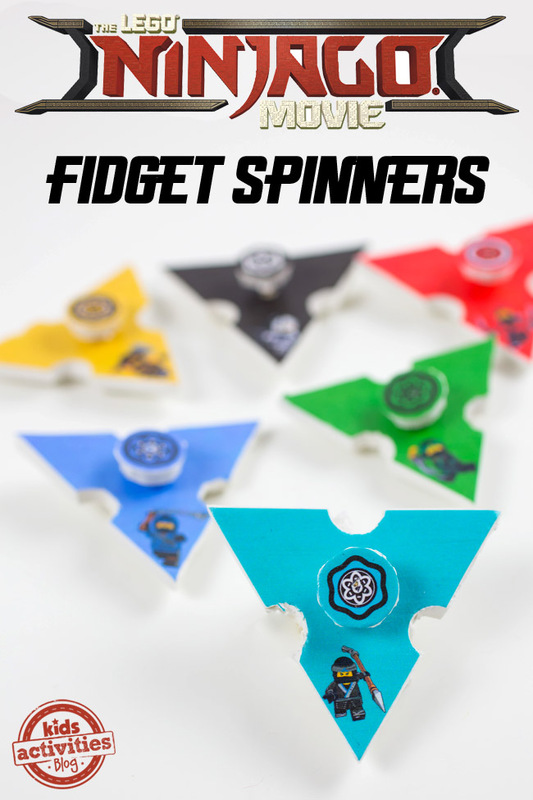 Now your LEGO NINJAGO Fidget Spinner is ready for battle! Visit the official website, like The LEGO NINJAGO Movie on Facebook or follow on Twitter and Instagram. We’ll see you in theaters on Sept. 22! Fidget snipers are the perfect way to pass the time! I’m a special ed teacher for kids who have mental health diagnoses, and many of my kiddos still use these or other fidget devices. It really does help them to have something to hold with a repetitive motion that they can focus on for a bit. I love that! Thank you so much!